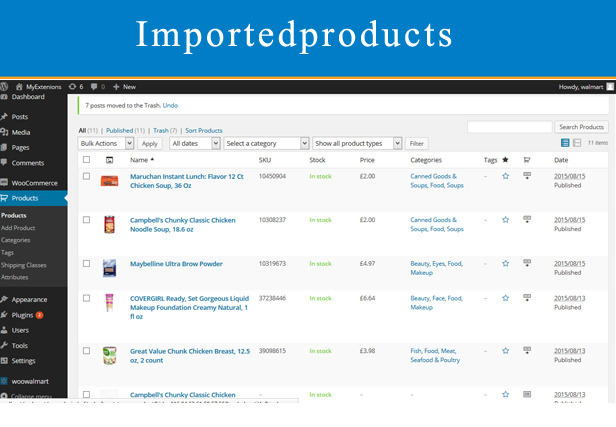 Walmart affiliate is used to import products from walmart to your woocommerce site. 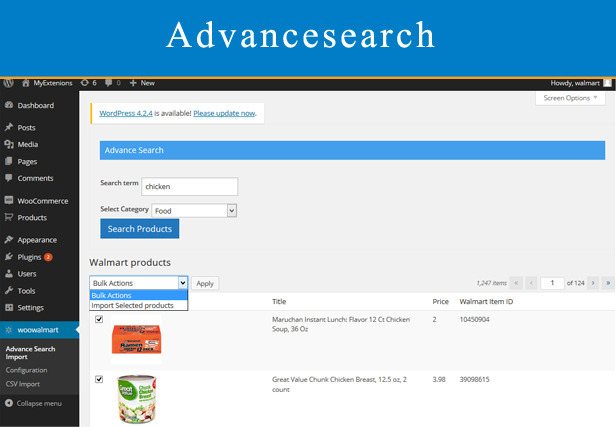 One can import products based on keyword search, Using walmart item ids and also with products upc code. 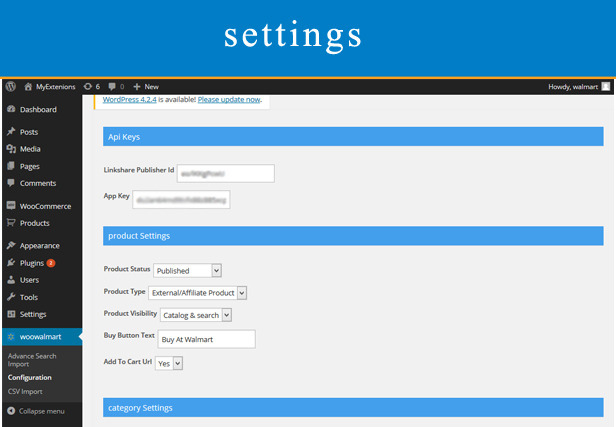 Earn Commission by redirecting to walmart from your woocommerce site using walmart affiliate link share id. To get walmart app key you need to register at https://developer.walmartlabs.com/ and create application. 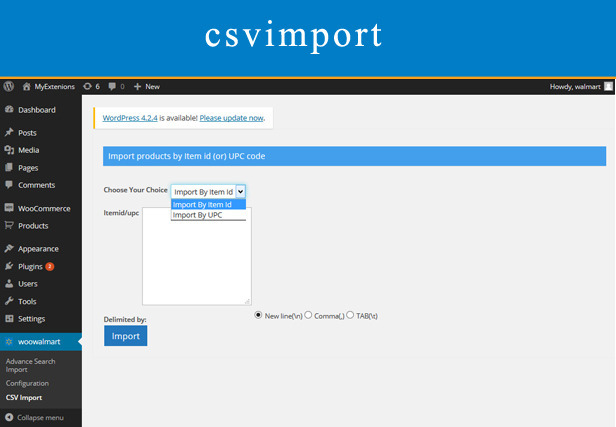 To get Linkshare publisher id you need to register at https://linkshare.com/ and walmmart as an advertiser. The Affiliate ID is a unique 11-character alphanumeric code tells Rakuten LinkShare exactly which publisher the click came from (it is sometimes referred to as the Encrypted ID or tracking ID). Your Affiliate ID can be found on the Publisher Dashboard by selecting Links, clicking on one of your advertisers, selecting a link type from the box at left, and then clicking Get Link.The eleven-character code following id= is your affiliate ID.